The most disgusting cold treatment ever... I'm serious. I used to get sick every holiday season. I swear, every year the same thing. I got sick when we did nothing special, I got sick while traveling to England in 1999 over New Years, I got sick every single year. Nothing special or amazing about my being sick, I'm not diseased or frail. These episodes had always been variations on the common cold that just decided to show up at the most inconvenient time they could. It's almost like getting sick around the holidays was a tradition. The last few years, I've not been sick at all. I don't remember exactly how many sick days I've taken in the last five years, but I could count them on one hand. Most of those required the emergency room and stitches - My getting "sick" for a day is pretty odd. Staying home for the day was even more unusual. But far more unusual is this new cold treatment that I've just been put through. Maybe unusual is not the best word. "Disgusting" is a better word. In addition to the Vitamin C and other cold remedies that I've tried this time, I was given something called ZICAM. Now, usualy the process of being sick is gross enough. There is a lot of spitting, coughing, snot and other really gross stuff that just kind of goes with the territory. You accept the fact that when you are sick, it will be gross. This cure makes things more gross. 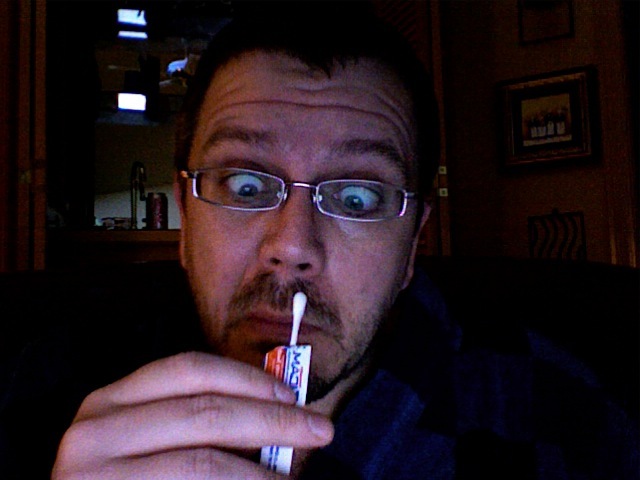 ZICAM is a treatment where you stick a "Gel swab" up your nose and spread medication all around for a specified period of time. Labels: Funny, I'm Sick 1 Comments - Comment now! 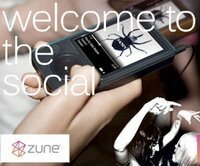 5 Simple reasons why the Zune flopped. I know that this blog has taken a turn into the off topic for the last 8 months or so, something that I'll be rectifying soon. That being said... one more off topic post before I find a place to put these more work-like ramblings. Why did the Zune fail? There was so much hype and buildup. Almost as much as Apple gets when the media pushes their products for free. I find it difficult to believe that, with all this free publicity, a product could flop so miserably. Even in the face of the almighty iPod. Especially towards the end of a very long iPod product cycle. There have been numerous pundits that have given their opinions, some of which I agree with, some of which I don't. However, there are a couple of items that I don't think people have picked up on yet that I think are key issues that may have significantly helped the product to fail. 1. The biggest reason? - Microsoft hired the wrong agency! Suggestion: hire someone that knows advertising. "Welcome to the social? What happened to "Share the music" or "Set your music free?" Both are obviously better alternatives. Surely their agency must have come up with something better than welcome to the social and decided not to use it. These images and the Bugs and skulls on the device screens pictured within them make me wonder whether my Zune going to be "buggy" or if I'll die when I use it. These ads say that both are a really good possibility. I learned about subliminal advertising many years ago from John Lovitz Kevin Nealon on Saturday Night live when he played "Subliminal man", but apparently the agency wasn't listening. I'm sure that this has played against the Zune quite a bit without anyone really understanding why. Subliminal messaging takes a large roll in what message an ad sends out. Think about it, would you rather be the cool and slick "Mac" or the frumpy "PC" You know which you prefer, but it was never a part of the spoken words in those commercials that you should prefer one computer over the other based on human perceptions of who is "cooler"
I've played with a Zune at Target and felt like a criminal when doing so, the unit was "strapped down" as if it were Frankenstein on the table. I was poking my fingers through small openings and really felt sorry for the device. It wanted to be played with, to tell me the story of why I should buy it. But Target and other stores that I've since seen it in all treated it like a caged and dangerous animal, tied down and bolted to a table. Actually, they treated me like a caged and dangerous animal, not trusting me to hold the scratch free "brown" thing. Compare this to the Apple store iPod experience: I feel I can play in almost any way with an iPod at the Apple store, even though it is also locked down – The difference being that Apple tethers with a string and lets the iPod sit directly in the consumers hands. 3. Microsoft focused on telling consumers about features that nobody will be able to use out of the box. Microsoft focused a lot of their messaging on the social aspect of their player. I'm not saying that the ability to "squirt" isn't pretty cool. I've thought that idea would be great for a while (though not that word). But nobody else has a Zune, so who can you share with? And that sharing is not really very good, it's only three plays or three days, and they encrypt my unencrypted MP3 files as well as files that have DRM. I can’t even truly share my own music files or MP3s even if I’m the author of those files. It's like some M$ engineer came up with a great idea and they let Universal tell them how it should work. What a stupid idea that was. In my opinion, Microsoft should have put their focus on things they could deliver now, not things that require massive Zune adoption in order to work well. I don’t want to sound like I think the idea of social music sharing won't work. Quite the contrary, I love the idea of social sharing of music. When on MySpace, I click "+add" on any music player and presto, that track is on my profile. I think this is a great feature. I really love the fact that I can use Apple's iTunes to listen to friend's music in the office. But all of these things work because of the huge network in place. 4. Somebody in charge implemented a very confusing payment model. So, I have to pay 99 cents to get 79 "points" which I use to buy songs? And I have to buy a certain number of points to play but I can't spend all that I buy unless I buy more than I need. Now come on... I don't do this anywhere else, and I think that most people will fid this to be a dumb idea. 5. Did somebody forget that size matters. Well, it matters in electronics anyway. You can't be bigger than the iPod and win. Even by a little bit... Period. They should have shot for the Nano as the target, or at least gone with the idea of bigger and *better*. 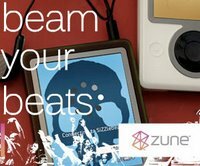 Despite all this, can the Zune succeed? I doubt it, but anything can happen. To really win me over, Zune has to offer something that I cannot get anywhere else. Maybe streaming television over wifi, maybe music purchases over Wifi. I don't know. But *something* has to be better. And it has to be Better for me, not for Universal, not for Microsoft, but for me. Apple knows that and that is why I'll be buying the next iPod sight unseen. Labels: microsoft, Off-Topic, rants, Work Related, Zune 10 Comments - Comment now!